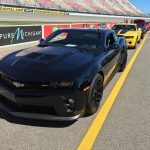 LAS VEGAS ― The new Camaro Turbo AutoX concept combines the LTG 2.0L turbocharged engine with a performance suspension, brake system, air intake and exhaust system. 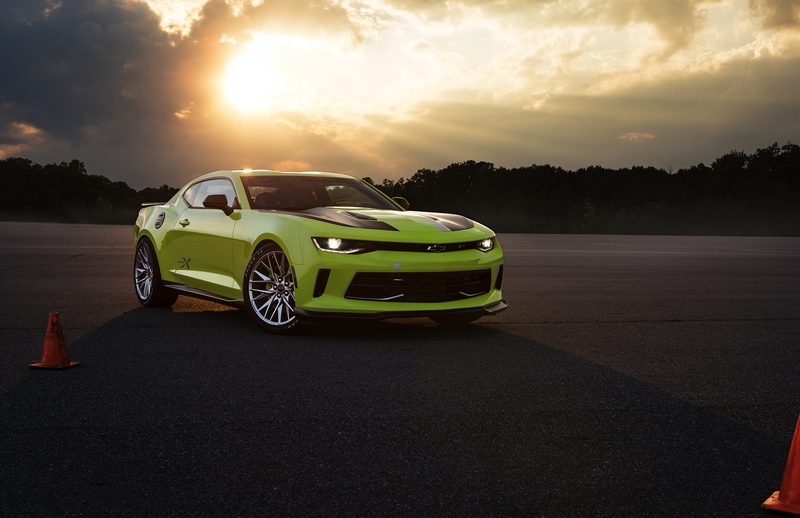 It melds the Camaro’s excellent power-to-weight ratio with more agile handling that’s ideal for autocross enthusiasts. 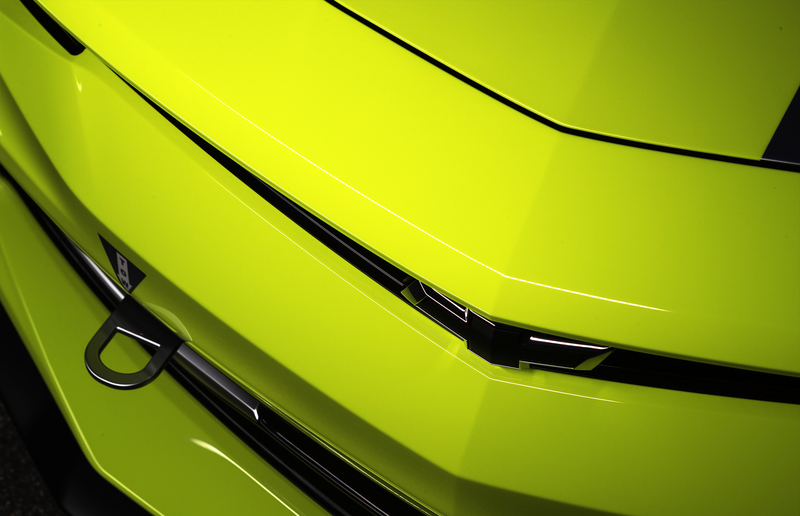 “This concept pushes Camaro in a new direction, integrating new performance parts that make the most of the turbocharged Camaro’s lightweight dynamics,” said Jim Campbell, GM U.S. vice president of Performance Vehicles and Motorsports. 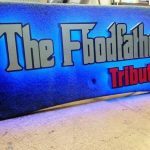 The concept features the Chevrolet Performance suspension lowering kit, which includes stiffer springs and specifically tuned dampers and lowers the ride height up to 0.75 inch (20mm). It is matched with a concept “plus performance” handling kit including larger stabilizer bars and stiffer suspension links. 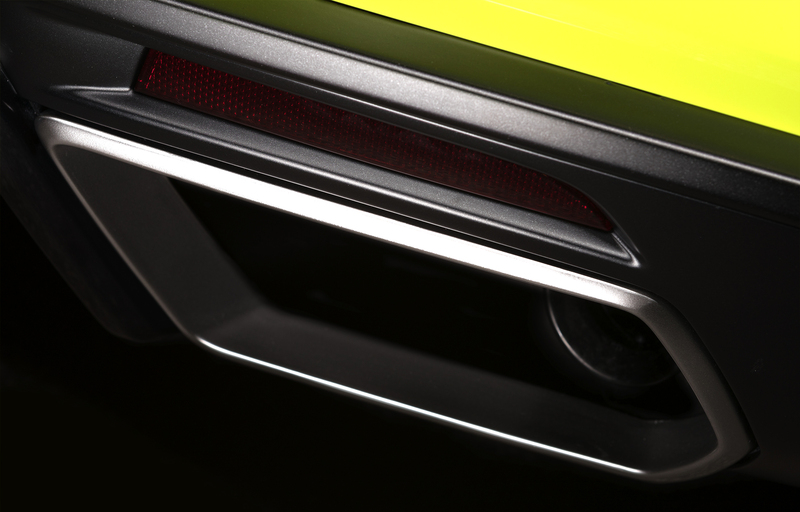 A concept strut tower brace under the hood provides additional chassis stiffness. The whole system contributes to improved roll stiffness and quicker turn-in performance. AutoX rolls on concept Chevrolet Accessories 20-inch aluminum wheels and Goodyear 285/35R20 performance tires. Engineers added Chevrolet Performance’s front brake kit, featuring six-piston calipers and 370mm, two-piece slotted rotors. For maximum performance lap after lap, a concept cold-air intake system has been fitted to the 2.0L turbo engine and a calibration upgrade to its controller optimizes performance across the rpm band. The turbocharger generates up to 20 pounds of boost and its twin-scroll design helps make the most of the usable power from the engine, practically eliminating turbo lag and helping deliver a broad powerband. When it’s time to change gears, the concept’s six-speed manual transmission features a concept short-throw shifter to make quicker work of it. A Chevrolet Performance exhaust system with a polished 4-inch outlet offers a throatier exhaust note and reduces backpressure by approximately 14 percent. An Active Noise Cancellation calibration update is included for vehicles with the Bose® stereo system. 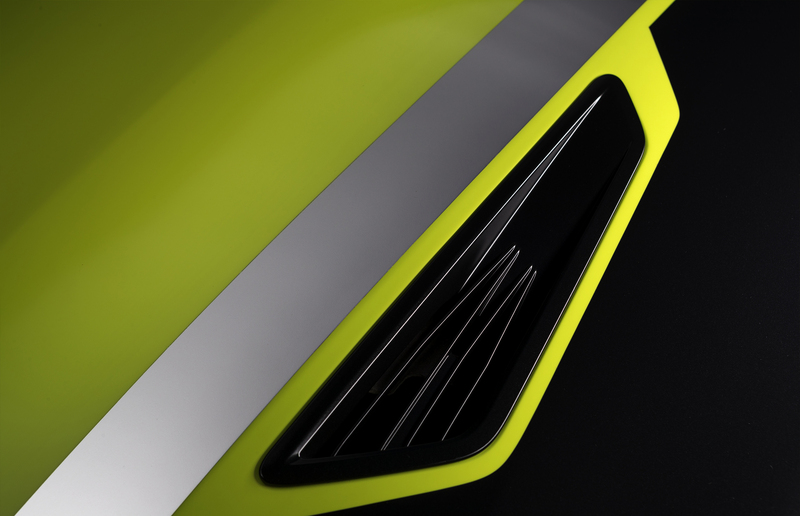 The Shock Yellow color is complemented with Pearl Nickel hood stripes and satin Carbon Flash Metallic accents on the hood vents, rockers and rear diffuser. The vented hood comes from the Camaro SS, while the rear diffuser and rockers were borrowed from a Chevrolet Accessories ground effects kit. The front splitter is also from the SS model, but is modified for the concept. 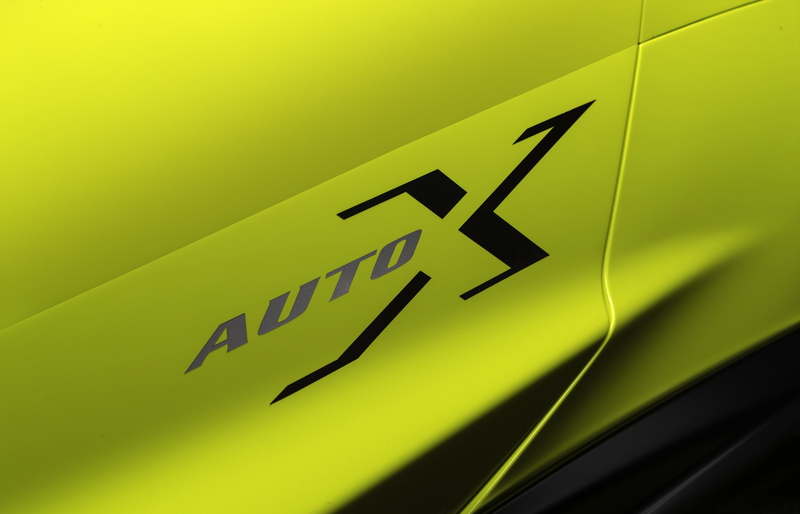 There’s a front tow hook, GoPro camera mount, export side marker lamps and an all-new, accessory rear spoiler that’s making its debut on the concept. The black, leather-trimmed interior mixes style with track-ready functionality, including a suede-wrapped flat-bottom steering wheel and shift knob and boot, and a carbon-fiber instrument panel insert. A bolt-in harness bar mounts a five-point safety harness. The Camaro Turbo AutoX concept was unveiled today at the SEMA Show, sharing the floor with approximately 20 additional Chevy cars and trucks. Follow the action at ChevySEMA.com, #CHEVYSEMA, @ChevroletPerformance on Instagram and Chevrolet Performance on Facebook. 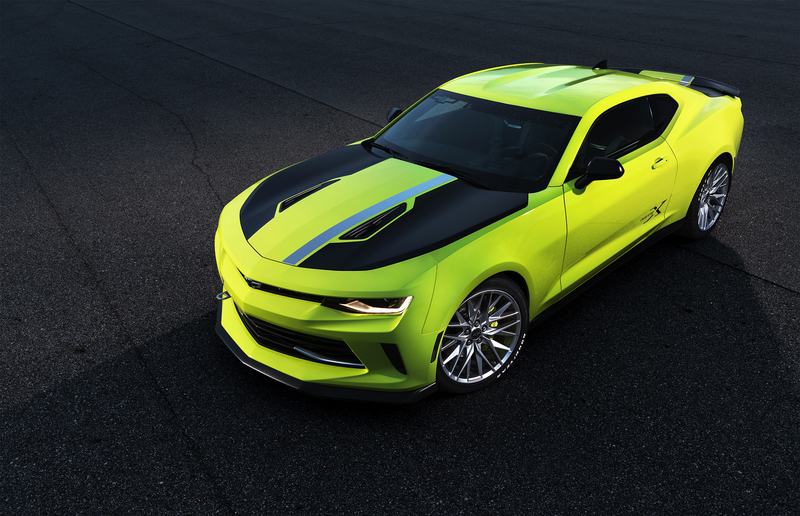 The new Camaro Turbo AutoX concept combines the LTG 2.0L turbocharged engine with a performance suspension, brake system, air intake and exhaust system. 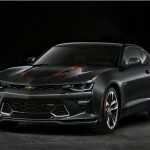 It combines the Camaro’s excellent power-to-weight ratio with more agile handling that’s ideal for autocross enthusiasts.